Located in the heart of Los Angeles and adjacent to the LACMA campus, The Academy Museum of Motion Pictures is an institution dedicated to the art and science of movies. The museum includes the former 1938 May Department Stores Company building, recently renamed the Saban Building, and a new structure to the north. With a full exterior restoration, the Saban Building houses the museum entry, exhibitions, a 300-seat underground auditorium, a renewed Tea Room, and other museum amenities. 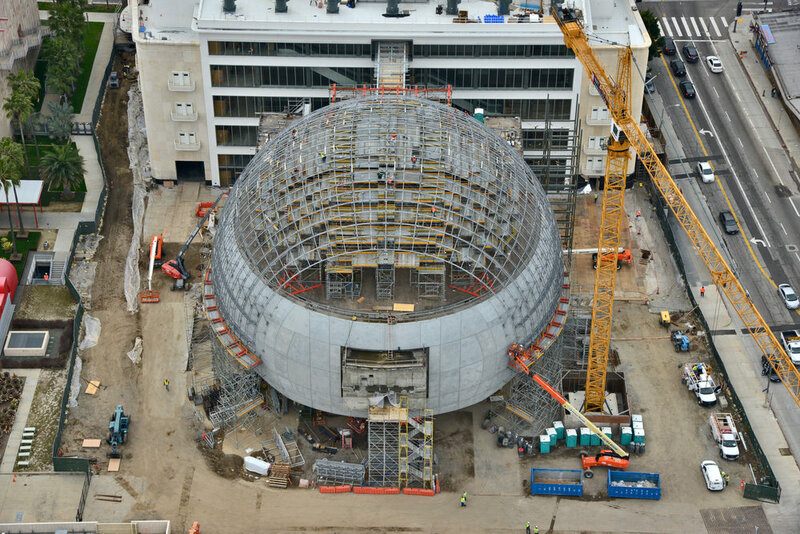 The new spherical structure, connected to the May Department Stores Company building by four glass bridges, houses a 1,000-seat theater. 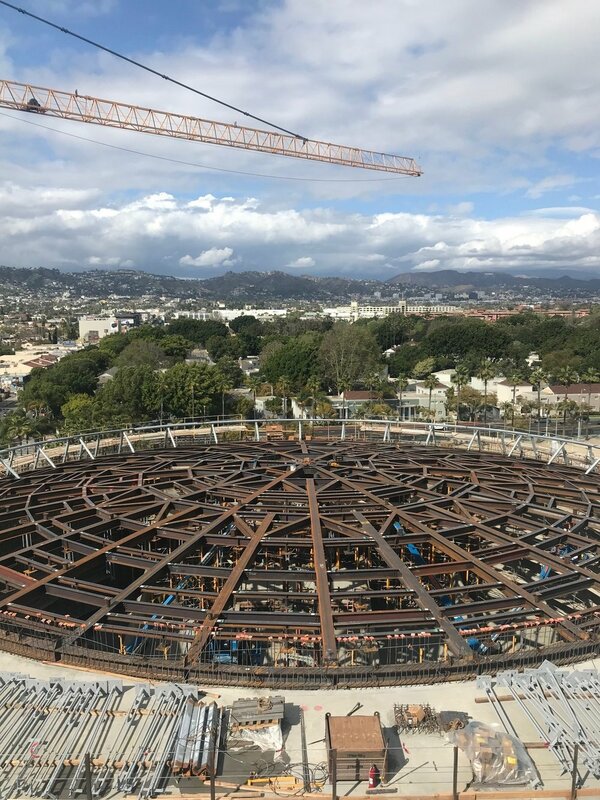 Its rooftop event space features views of the Hollywood Hills under a glass dome that soars 60 feet above the roof deck. The space beneath the sphere serves as an entry piazza and stitches into the existing network of public spaces on the LACMA campus. Paratus Group was retained by the Academy during Design Development to help correct the course of the project. We were tasked with drafting the building program, re-budgeting the project, re-contracting the team, hiring the construction manager, and then managing the project through the completion of design and construction. In addition, we are involved in all aspects of planning the museum including oversight of graphic design, restaurant design, exhibition design coordination, and compliance with complex land use approval restrictions. It will soon be one of the most eye-catching structures in the country. 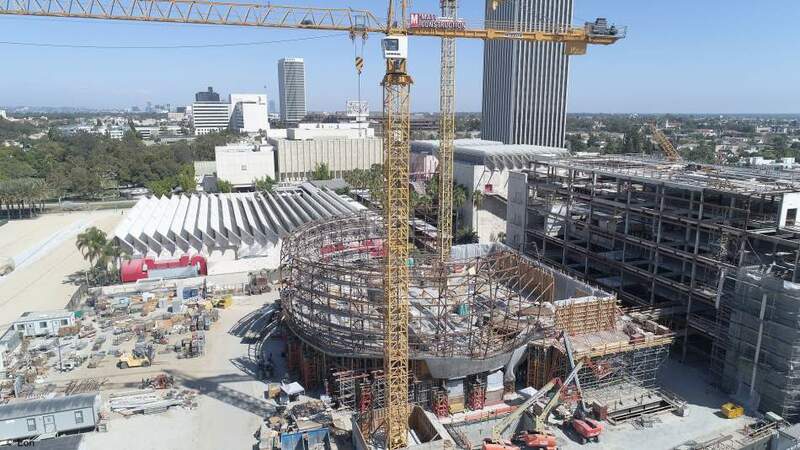 The 300,000-square-foot Academy Museum of Motion Pictures, dedicated to the art and science of the film industry, will open in 2019 in Los Angeles. 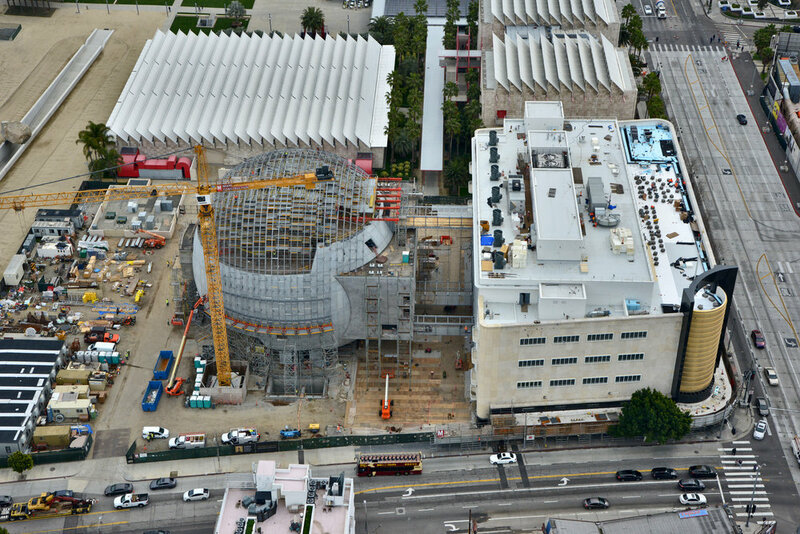 Designed by Renzo Piano, founder of the Renzo Piano Building Workshop, the museum will feature 50,000 square feet of galleries, exhibits and theaters.